Safe practice in physical education (PE) should be an integral part of all phases of education, from primary and secondary schools to further education. The Basic HSE PE First Aid Kit supplies you with all the materials you need to implement your duty of care as a teacher or facilitator. Procedures to address the needs of injured pupils should be laid out and practised before any emergency happens. All schools and sporting facilities should have a suitable piece of kit to attend to any accidents or injuries, and ideally, a couple of trained first aiders on the premises. What Is Included in the PE First Aid Kit? This first aid gear is kept in a sturdy green Durham box, with an integrated handle for easy transport. It is ideal to keep in schools, gyms and sports halls to immediately attend to any accidents as a result of physical activities. 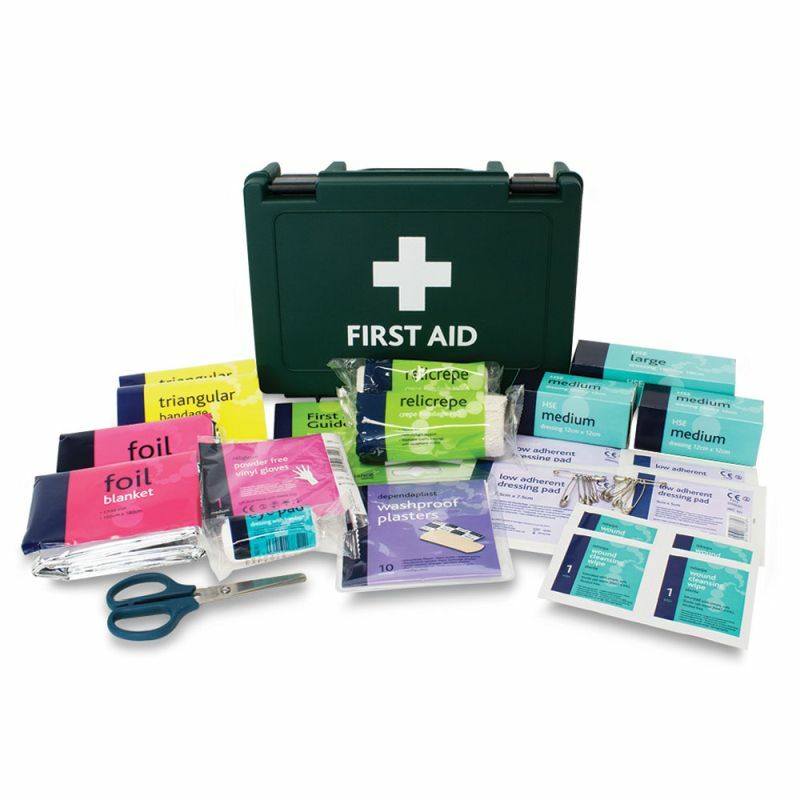 The Basic HSE PE First Aid Kit is usually dispatched via First Class Royal Mail and delivery should be within 1 to 3 working days.